Life on our planet Earth is amazing, attracting many people to explore it. SuperGIS Desktop provides a biodiversity extension that aims to help biologists and ecologists from all over the world to conduct insightful research. Biodiversity Analyst provides users with various tools to estimate/assess the three major indicators of biodiversity– richness, evenness, and diversity. 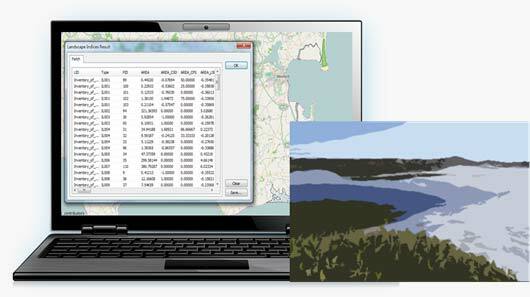 SuperGIS Biodiversity Analyst allows users to import different kinds of vector data, like grids, administrative boundaries, and sample points, for biodiversity analysis. To enhance the performance of calculation, this extension also helps you save all required materials in the database. Therefore, users can perform massive analysis on them by data streaming and data filtering via SQL expressions. All these features would provide you a brand-new experience when conducting geo-ecological research. The world is composed of hundreds of different landscapes. The effects of landscape should never be neglected because different landscapes would lead to different ecological phenomena and produce distinct outcomes. This extension offers hundreds of landscape index formulas, divided into eight categories. Also, the analytical results of patch, class, and landscape can be presented separately. Furthermore, you can classify the image data result with the analyst, making the workflow smoother and saving a lot of time for you. Supergeo does not publish pricing information for SuperGIS Biodiversity Analyst online. Please contact Supergeo Reseller that serves you for detailed pricing information and the most suitable licensing option. If there isn’t any distributor in your country or region, please mail us directly at staff@supergeotek.com. 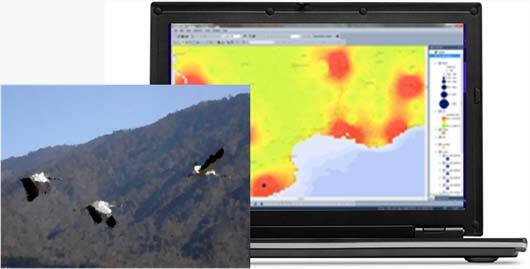 Software maintenance is also included in the license of SuperGIS Biodiversity Analyst. It includes technical supports and updates within the same version. For example, with a valid maintenance, users can upgrade their 10.0 to 10.X without additional cost. 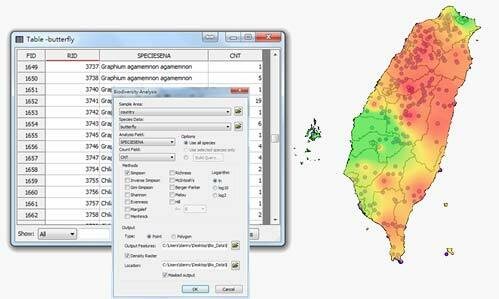 SuperGIS Biodiversity Analyst is an extension of SuperGIS Desktop. To experience how it could benefit you and your organization, please send us a request for free trial code of SuperGIS Desktop and activate it with the code.